The Yorkshire Asian Business Association has announced the finalists for the YABA Annual Awards 2018, and this year has drawn some excellent nominations. 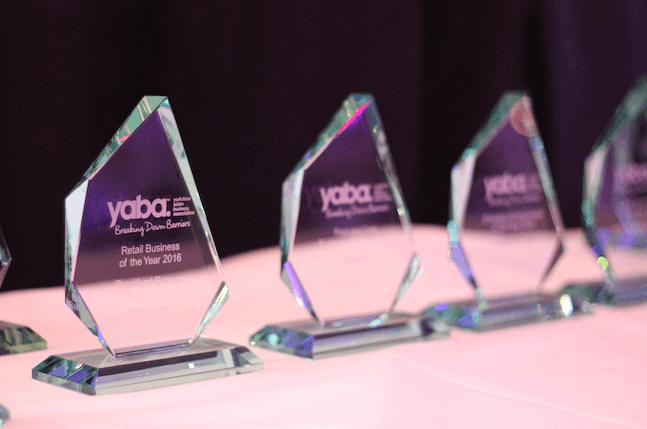 The winners will be announced at the YABA Awards Dinner taking place at Cedar Court Bradford on 27th September 2018. Juliette Healey from Bank of England said, “The judges were faced with some difficult decisions, and we are really pleased with the quality of nominations, each was candidate demonstrated fantastic success in their field, we are looking forward to announcing the winners at the Awards Dinner”. Other judges included, Noor Ali from Morrisons plc, Sohail Ali DLA Piper, Ken Cuthbert Department of Trade and Industry, Mark Casci Yorkshire Post, Mohammed Mayat National Apprenticeship Service, Rajeev Dewedi Shenwards, Simon Baldwin Leeds Beckett University, Kayley Worsley The Business Desk. The Yorkshire Asian Business Association provides a voice for businesses on a regional, national and international level no matter what size or sector your business. Asian businesses are as diverse as the population of the UK, spanning manufacturing and professional services, retail, entertainment and fashion, hospitality industries, telecommunications and more, and YABA come together each year to celebrate emerging and evolving businesses in the region. YABA: The Yorkshire Asian Business Association are here to provide a voice for business on a regional, national and international level. Pulling out all the stops for your business, we will support you no matter what your size or your sector. The YABA works under the framework of the Federation of Asian Businesses (FAB)to develop a cohesive, comprehensive strategy to be the voice of Asian Businesses across the Northern Powerhouse, FAB has approx. 50K members. As an independent organisation, the YABA will do its best to work with our members to create a better environment for their businesses. A popular prestigious event, the YABA Gala Dinner Awards promises to be even bigger and better than last year, the event brings together leading people from business, education, enterprise and the community. The Annual Business Awards are a showcase for the best of the region’s talent with an opportunity for all to celebrate success.